Well, I just submitted the last of my coursework yesterday, and I’ve only got my dissertation to do over the summer, so I am now able to return my energies to more important things, like running this blog. Again, I’m sorry for the lack of updates. I thought I’d start things back up again by reviewing a book which was written before the Decadent movement came about, but which nonetheless embodies many classic Decadent traits, and influenced more than one later author. 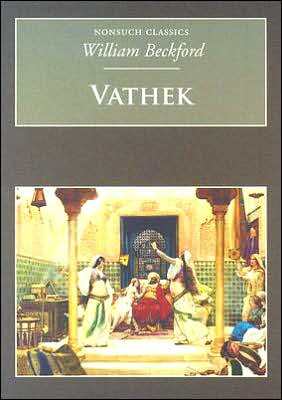 William Beckford’s Vathek. Like any self-respecting Decadent, Beckford (1760 – 1844) had a strange and eventful life. Apart from being one of the richest men in England, Beckford was also something of a Jack-of-all-trades: a writer, art collector, politician, patron and critic. 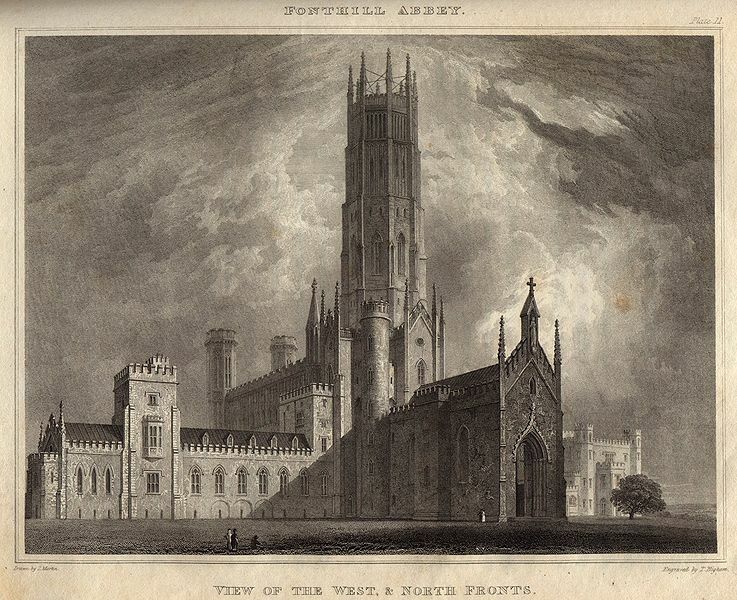 He also designed his home, the wonderfully over the top Fonthill Abbey, sadly no longer in existence. He also appears to have been a controversial figure, called by some the ‘Fool of Fonthill’, and causing scandal by his affairs with his cousin Louisa, and with a young man called William Courtenay. One cannot help but be reminded of a certain Lord Byron. Vathek (1786) is a novella that often borders on the ridiculous. It is written in high Gothic style, and bears all the traits of fashionable Orientalism so prevalent in Europe during the late 18th century. Set in Arabia, it tells the tale of the corrupt Caliph Vathek who, aided and abetted by his mother, Carathis, turns to murder and black magic in his pursuit of power and decadence. Along the way he encounters Nouronihar, a beautiful princess who is slowly seduced by Vathek. Overall, it is a very enjoyable read, as long as you are prepared to not take it too seriously. The descriptions of magical rites are compelling, and Beckford portrays a lush and sensual – albeit very clichéd – image of Eastern luxury and Decadence. Vathek is a hoot. You can’t take it seriously, but it’s enormously fun. I hope you enjoy the re-read.